There’s a Gruffalo in the Library! 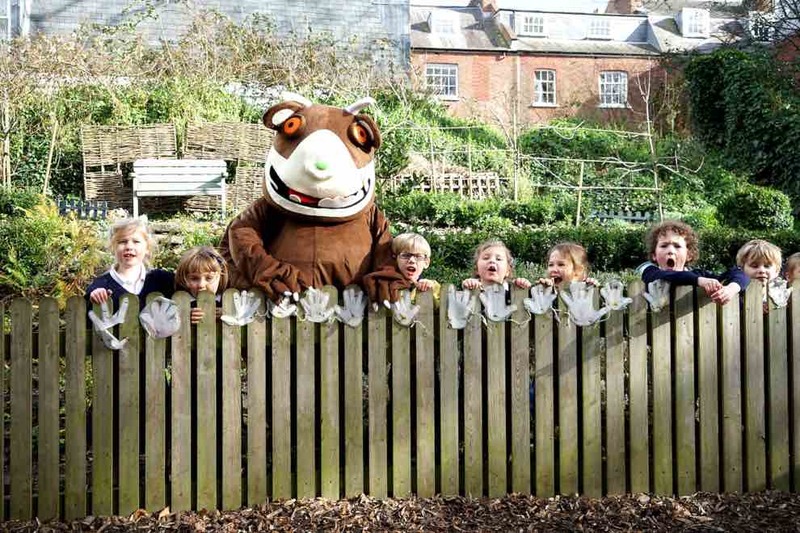 Pupils at Exeter Cathedral School were delighted to welcome the Gruffalo to unveil their new Pre-Prep Library. Nursery and Pre-Prep pupils (aged 3 to 7) have been looking forward to their new library for several weeks. On the day of the opening, the children were thrilled to find the Gruffalo sitting in the library, ready to read a few books and enjoy a conversation about his unusual eating habits! The Gruffalo was very impressed with the new bookshelves and furniture. He particularly enjoyed squeezing into the old fireplace and reading aloud to each class. Everybody, from the Nursery through to Year 2, got to listen to the Gruffalo and ask questions. After exploring the new library space, the pupils took the Gruffalo outside for a tour of the garden. The Gruffalo was keen to hunt around for some wild snacks – unfortunately, he was unable to find any owls to eat! The Gruffalo is a much-loved character from the children’s author Julia Donaldson. While appearing gruff and scary, with a toxic wart on the end of its nose, the Gruffalo is a kind-hearted and lovable beast who seeks fun and friendship. Open to all - the Pre-Prep Library will serve as an excellent learning space where children can sit, find a good book and experience the world of literature.